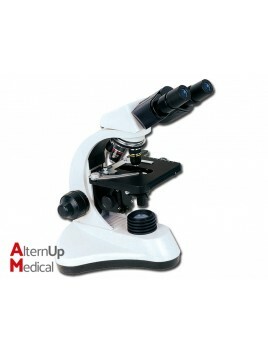 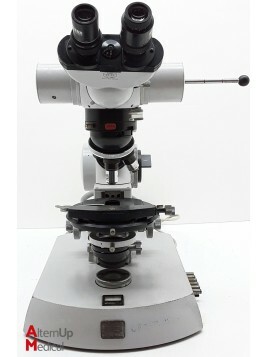 High level microscope with high resolution and transmission. 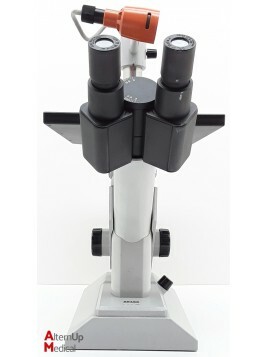 With this microscope, simplify comparative tests with dual slide finger of mechanical stage. 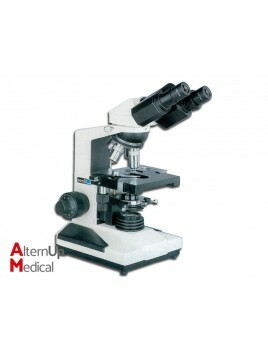 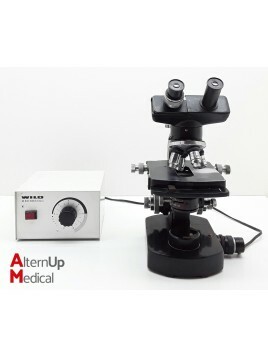 This microscope is equipped with a binocular system, quadruple nosepiece and objectives and fine focusing knob minimum division 0.002 mm.